Embattled 14th Ward Ald. 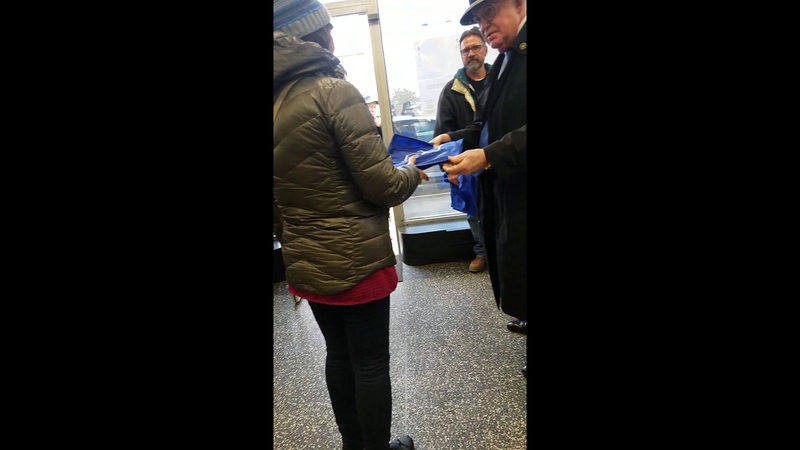 Ed Burke, clad in a top hat and overcoat, is seen in a cellphone video handing out shoulder bags at a polling place on South Archer Avenue during November’s general election. The video was shared with Chicago Tonight by the Garcia for Congress campaign of U.S. Rep. Jesus “Chuy” Garcia, who is backing one of Burke’s opponents in the 14th Ward aldermanic race. In the video, Burke can be seen arguing with poll workers who say he shouldn’t be handing the bags out there. “What’s the problem with passing out these bags?” he can be heard saying in the video to a poll worker. “There’s nothing on here about ‘vote,’ there’s nothing here about ‘elections’,” he says, pointing to the bags. The worker explains that he’s just doing what he was told to do, and mentions a supervisor named Mr. Brown. “Call Mr. Brown and tell him Alderman Burke is here, and he’s objecting,” Burke can be heard saying. On Tuesday, Garcia called on election authorities to be extra vigilant in preventing electioneering practices in light of Burke’s actions seen in the video. Garcia and some of his allies say they immediately filed a complaint with the Illinois State Board of Elections, which is investigating the matter. According to Chicago law, it’s illegal to campaign inside and directly outside of a polling place. The Burke campaign did not reply to requests for comment. Burke is facing two election challengers as he deals with fallout from a federal criminal charge of attempted extortion, and an ongoing federal investigation.